For a book about cheese you’d think they might have made more of an effort with the illustration, but no. Mm. Vaguely remininscent of Pedigree Chum topped with solid Swarfega, but mostly appetising in appearance (Ok, it looks kind of grim, but I wanted to make it in spite of this. Or because of. I can’t remember now. Leave me alone). The meat in the original photo looks like dog food, but this is reminding me a lot more of cat food. I once opened a tin of cat food and thought it smelled kind of…good, and there was that time I ate a cat biscuit for a quid, but something about this is offputting even to me. 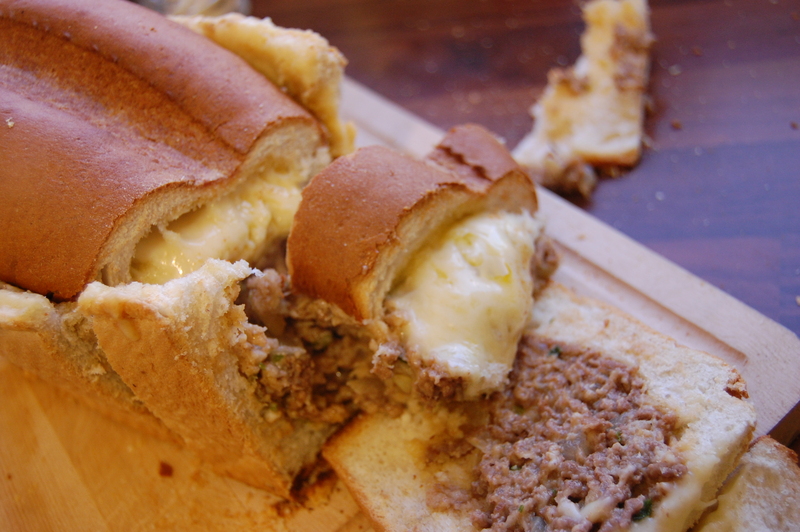 The tongue of melted cheese is, well, just, well. It was bland as anything; another poorly seasoned seventies recipe strikes again. More unfortunately the bread was much much too hard to eat, especially the top, which I ended up discarding. Obviously it’s been baked twice – I think soaking the whole thing in milk might have made it more edible? 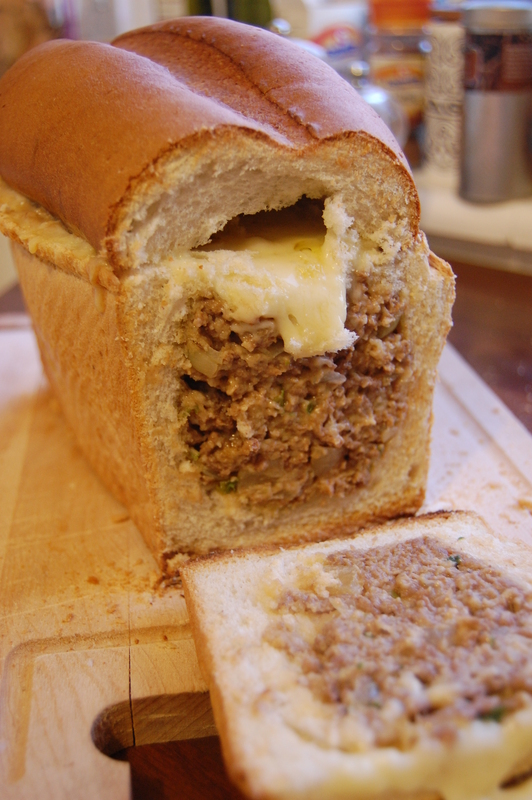 Or a more saucy meat concoction? (or just not cooking it in the first place). After eating a couple of slices for my tea I spent the evening feeling very unusual and vowed not to eat any more of it. Obviously the following day I returned from work and ate more – actually, it had improved with age and was holding together nicely. 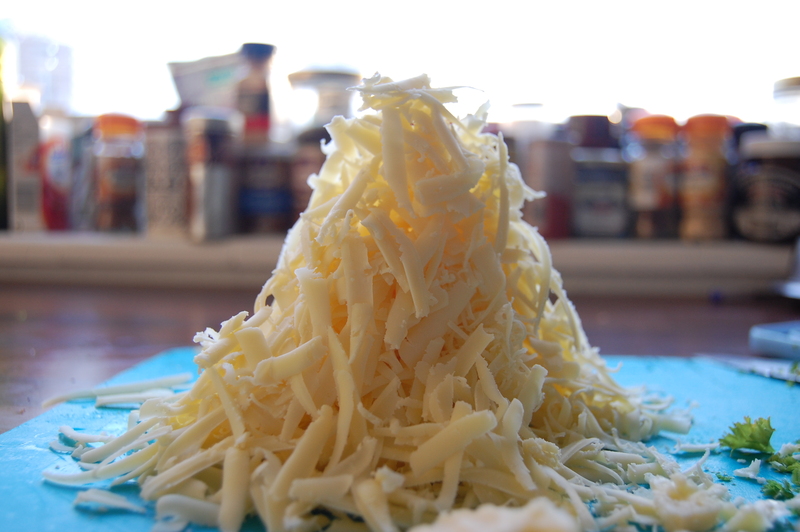 The now solid lump of cheese running throughout was troubling though. 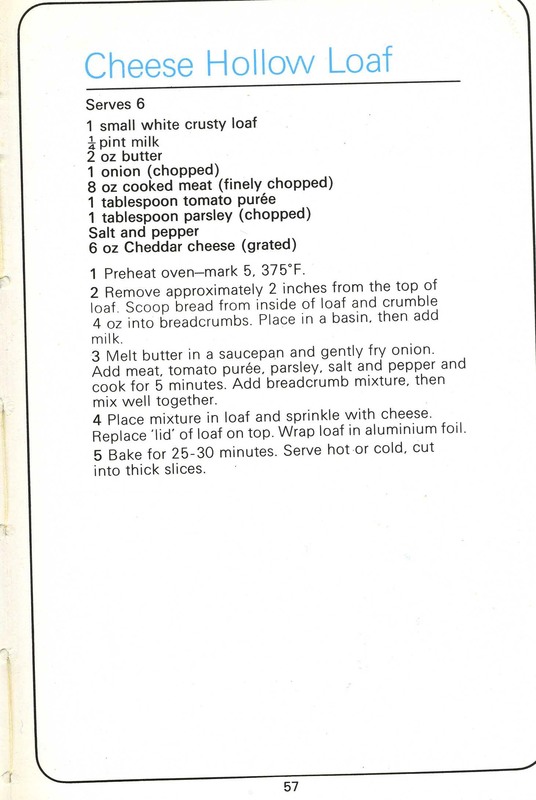 This entry was posted in 1970s, Make A Meal Of Cheese and tagged bread, butter, cheddar, meat, milk, onion, parsley, tomato puree. Bookmark the permalink. Alix, I’m afraid you asked for this one in my opinion. But well done for braving it. Well done on this attempt. You ate it so we didn’t have to! I know its wrong but something about this make me think. 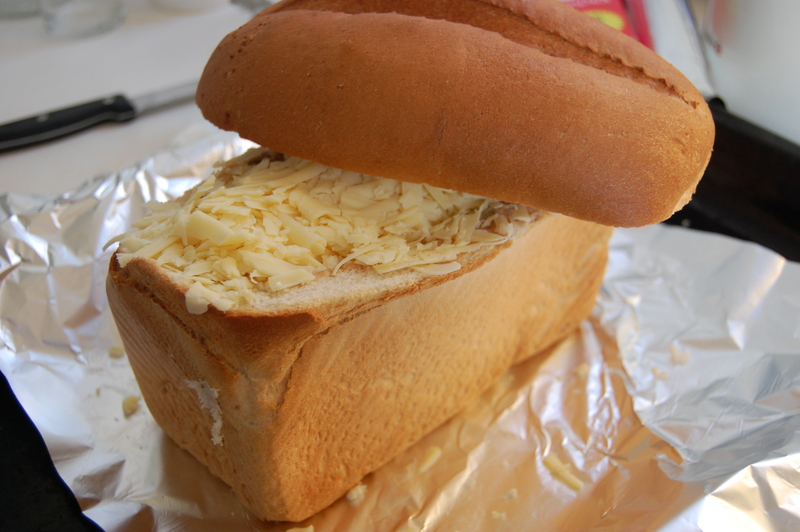 mmmmmm- like toasted cheese sandwiches. Anything summery in your vintage books and pamphlets? Excellent work! 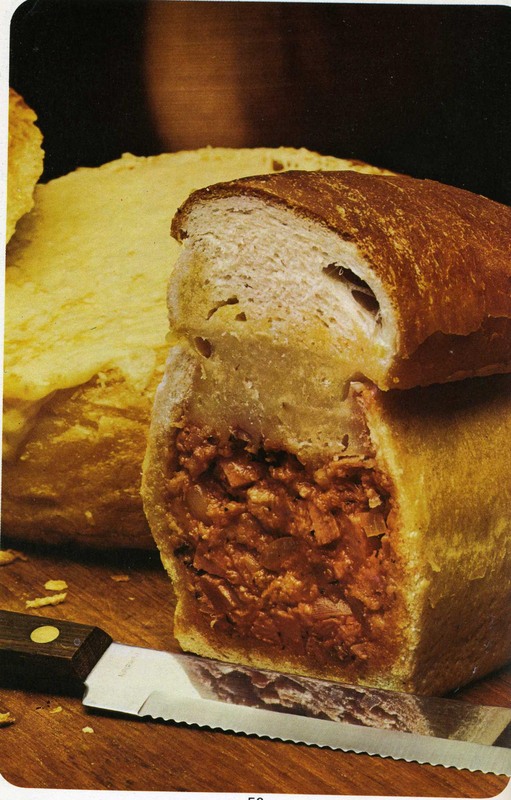 A 70s recipe showing how to take lovely ingredients (meat, cheese, bread) and turn them into something…well, I don’t want to hurt your feelings so will pick my words carefully….less lovely. Haha, no danger of hurting my feelings! 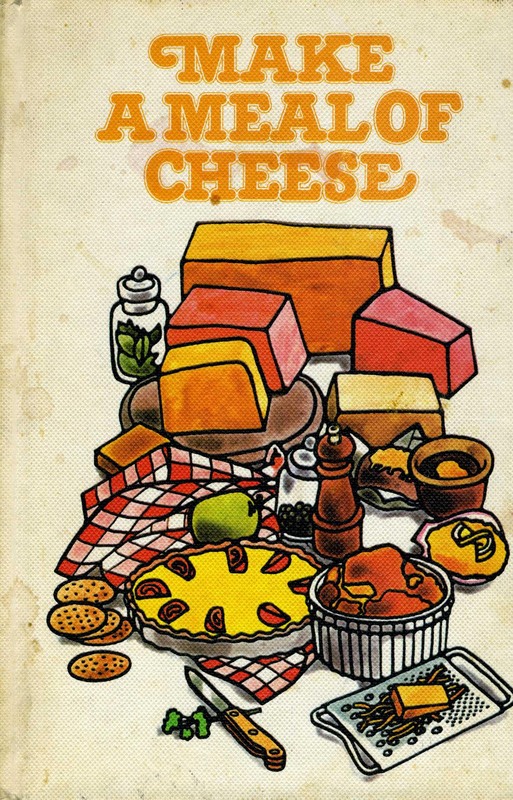 I have loved my Make A Meal of Cheese book since I had as a Birthday Gift 22-07-76. It is now falling to bits. Would it be possible to acquire another?